The medium of film has been a premiere avenue for my exploration and discovery of Mozart in popular culture and performance, as well as an effective means by which to communicate his life and music. As I credit Amadeus with igniting my passion through its fantasia on the life of Mozart and its authoritative soundtrack, introducing me to one of the greatest Mozart interpreters of our time, Sir Neville Marriner, it's appropriate that my work as a Mozart Preservationist also began with film. Shortly after establishing my authorship of The Chronicles, I embraced a golden opportunity to create accessibility for Mozart with broader audiences via cinemas and cultural institutions as Marketing Manager for the North American theatrical release of In Search of Mozart by Phil Grabsky, an award-winning documentary film-maker in Brighton, England. As a part of his distribution team in the U.S., I worked with Mitchell Block (Direct Cinema), who over the span of his career has handled the distribution and marketing of hundreds of films with 25 of these titles winning Oscars and 71 having received Academy Award nominations. For a girl who grew up with a tremendous affinity for music and the movies, I could not have dreamed it. Through my curatorial curiosity of Mozart filmography, I've acquired many titles, some of them rare, and occasionally through fellow enthusiast, Dennis Payne, in Canada. He introduced me to Whom the Gods Love: An Original Story of Mozart and His Wife (1936) and informed me of its upcoming commercial release through Network Distributing on January 20, 2014 (Ealing Studios Rarities Collection Volume 9). 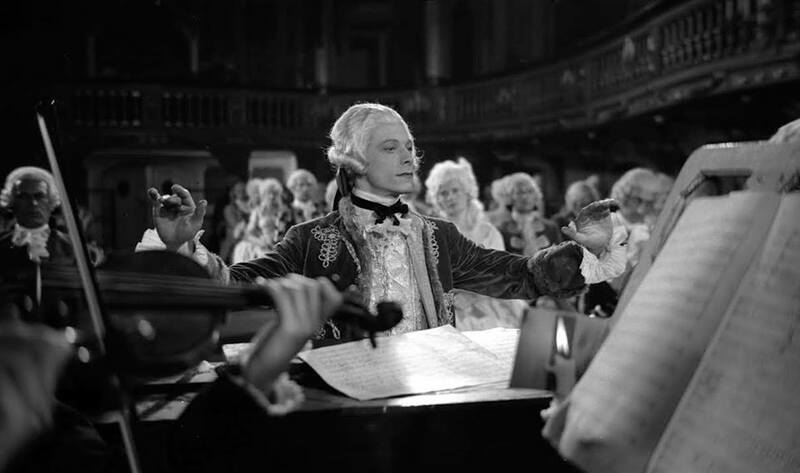 As uncommon as it is for an early 20th Century film about Mozart to have its first commercial release today, it certainly isn't the rarest quality about this piece, nor what expressly drew my attention to it. Whom the Gods Love is the only film (to my knowledge) with a script significantly oriented to Constanze Mozart, portraying her in a favorable light. In the early 20th Century, when this film was created, Constanze wasn't readily acknowledged by scholars, artists or the general public. If she wasn't maligned based on the paternal prejudice of Leopold Mozart (he was complimentary upon finally meeting her in Vienna), she was met with indifference, or worse, not thought of at all. I was astonished that such a film existed in 1936, especially when proper acknowledgement for her life and work is still evolving today. Was the script intended as a vindication in film or was it purely dramatic fare? As an advocate of this extraordinary woman, I was keen to know more about the story's origins. (Read: Publishing Constanze: A Journey of Friendship and Advocacy and Constanze Mozart Forum Recognized in Badische Zeitung). In addition to the contextual questions regarding Constanze Mozart and the script, I was equally interested in the musical performances, filming locations, and behind-the-scenes details, so I contacted Network Distributing in hopes of gaining an exclusive, and I wasn't disappointed. Steve Rogers, Head of Product Development, was more than obliging. He provided me with a rich amount of material on the film, including stills, the shooting script (the production team's original intentions), on-screen titles and information from the British Film Institute, The Times articles from 1935 and 1936, excerpts from Director Basil Dean's autobiography Mind's Eye and selections from Film Making in 1930s Britain by Rachel Low. Network Distributing has also been so kind as to feature my article on their site with additional stills from the film. Although research reveals that the role of Constanze was created primarily as a romantic lead for Dean's wife, Victoria Hopper, which explains favoritism in the script, his approach still corroborates the fact that Constanze was a supportive and compassionate wife with musical and entrepreneurial abilities. The trailer excerpt (watch at 0:48) is a perfect example. It captures Constanze defending her husband against the threat of an aristocratic patron. "You can never hurt him now. Listen." And she opens the door of the opera box to reveal Mozart conducting the finale of Die Zauberflöte (The Magic Flute). I thought this conclusion was a lovely preface to the history of Constanze presiding as the steward of his legacy for the next 50 years. Mozart died just a few months after the premiere of The Magic Flute at age 35 on December 5, 1791. The aphorism surely echos the title of the film. "Whom the Gods love, die young." I thoroughly enjoyed reading excerpts from Dean's autobiography in which he described everything from casting choices to directional regrets and audience reception. His commentary was entertaining as it was informative. 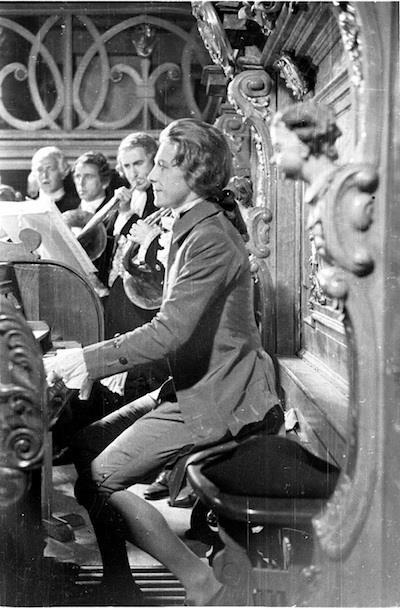 Of film reviews, Dean said they were mixed: "Of course the film was hopelessly in advance of its time, presupposing a love of Mozart's music that certainly did not exist among cinema audiences of the day." Dr. Bernhard Paumgartner, Director of the Mozarteum, provided the musical supervision, while the music was recorded by the London Philharmonic Orchestra and Sir Thomas Beecham. Of the film's soundtrack, Dean claimed that "Beecham's first recording for a British film set a standard of musical performance not previously achieved in the medium." 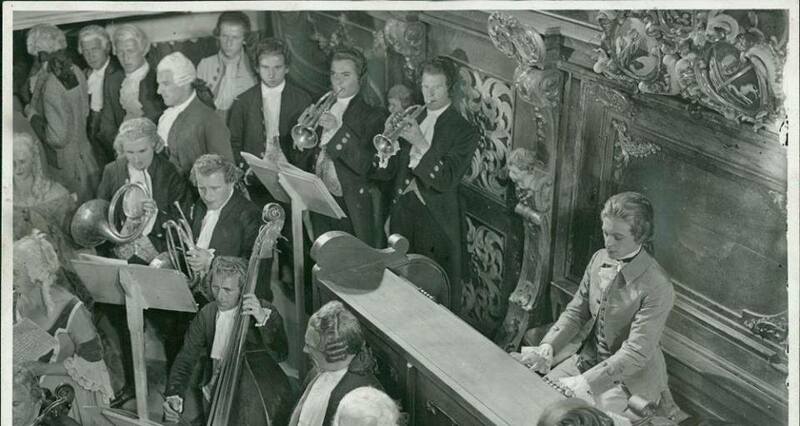 Filming in both Vienna and Salzburg (with interiors at Ealing Studios in London), Dean said that the Austrian Ambassador was so enthusiastic about this project, especially in light of the war and the Anschluss between Austria and Germany, that "Looking back on all that followed, it seems as though the whole country were laid under instruction to do us service." The film crew was permitted to visit and draw sketches of Mozart's birthplace, but not to film there for fear of fire. Given the amount of exhibition technology in the museum today, it's difficult to imagine such precaution, but the level of reverence has remained the same. "The house where Mozart was born is regarded almost as a sacred monument of the city." The film was met with enthusiastic acclaim at the Salzburg Festival in 1936. For all of the gushing, Dean was also a critic of his own work: "The film was like a beautiful eighteenth-century costume, all velvet embroidery and silver lace, but with no living person inside it." He felt that Stephen Haggard was wrongly cast and that Margaret Kennedy placed "undue emphasis upon the domestic side of the Mozart story which was neither strong enough nor of sufficient interest to warrant such attention." Dean's blatant disregard for the subject of Mozart's domestic life (Constanze) reflects the general attitude of his day as previously mentioned. Kennedy had given Dean a copy of Mozart by Marcia Davenport to review at the beginning of the project. His retrospective is revealing: "On reflection I think this probably began the trouble since my recollection is that the book stresses the domestic difficulties of Mozart's life." Although these differing visions warranted elements of incongruity in the final cut, Whom the Gods Love is a special part of the Mozart filmography. It reminds viewers of the significance of not one, but two lives in history. And it captures a glimpse of an era, heightened by cultural exchange in the midst of the century's darkest hour, brought to life through the power of film. The restoration and release of Whom the Gods Love is a wonderful act of preservation not only on behalf of Mozart, but of appreciative audiences everywhere, both musical and cinematic.